Since taking the position to further WSU’s strategic plan in the area of public policy, Colleen and her team have engaged more fully with constituents at the regional, state, and federal level. The results have been to closely align the university’s government initiatives with increasing the social and economic vitality of the state and wider world. 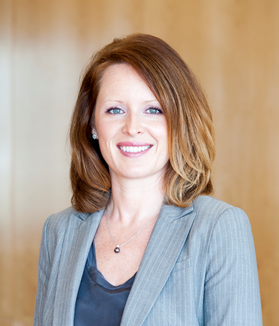 Colleen serves as an institutional leader in defining external strategic priorities and conducting outreach with multiple stakeholders from the public and private sectors. This has included her leadership role in legislation that launched the WSU Everett campus that has increased affordable access to four year degrees for residents of Snohomish, Skagit, and Island counties. In addition, she played a leadership role in securing federal funding for the Center of Excellence designation of ASCENT and the launch of the Elson S. Floyd College of Medicine, the second publicly funded medical school in the state, dedicated to providing physician training for Washingtonians and provide healthcare access for underserved communities across the region. Colleen brings a wealth of experience to WSU and her role in advancing the public policy benefits of WSU’s extensive research and educational programs. Following a human rights fellowship with Queen’s University in Belfast, Ireland, she worked on the Bloody Sunday Inquiry for Madden and Finucane Solicitors, one of the premier legal firms in the European Union and located in Belfast. After coming back to the U.S., she was an attorney with Preston Gates and Ellis, LLP in Seattle and then was a special assistant on government accountability for the state’s Office of Economic Development in the Washington State Department of Commerce. She served as legislative director for State Senate Majority Leader Lisa Brown and deputy chief of staff for the Senate Democratic Caucus in Washington State. Previous work for the legislature includes being tribal counsel for the Washington State House of Representatives. She holds a Juris Doctor degree from the University of Washington, a Masters of Arts in Public Policy from the University of Chicago and a Master of Arts with Honours in Modern History and a Masters of Letters in International Security Studies, earned with distinction, from the University of St. Andrews in Scotland. 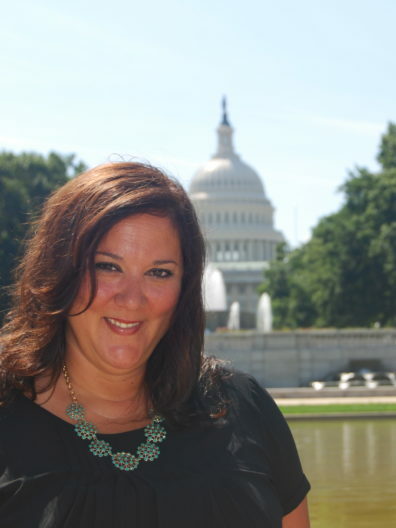 Michele McCarver is assistant to the Vice President for External Affairs and Government Relations, and functions as a staff coordinator for the Department of Government Relations. Based in Pullman, Michele represents government relations on WSU’s main campus and coordinates meetings and events for the department across Washington state and in Washington, D.C. Michele first joined the government relations team as the assistant to the Director of Federal Relations in December 2005. Prior to that, Michele worked in the WSU Office of Research and the Graduate School. Chris was appointed the Director of Washington State University Office of State Relations and chief representative of Washington’s land grant institution to the Legislature in December 2010. The State Relations team he leads promotes the mission of the university and closely monitors relevant state-related legislative activity. The team, along with university leaders, engages the state’s elected leadership to advance understanding of how WSU’s core mission aligns with state priorities to produce the kind of well rounded, informed citizens that make communities strong and resilient, while providing for economic development, a well-prepared work force, and increasing economic and social well-being. The State Relations team also works to secure the resources needed to operate a top-tier research institution like WSU while fostering positive relationships and advancing effective partnerships to support the University’s core teaching, research and service mission. Chris and his team work collaboratively with community partners, policy makers, and the university to create and share knowledge that support the state of Washington and improve the lives of citizens. Prior to joining the team at WSU, Chris was senior communications specialist in the Washington State Senate for two years where he helped develop communications strategies and provided written communications for both print and digital audiences. Before joining the Senate, Chris worked for 11 years as a reporter at the Tri-City Herald, 9 of them as its statehouse correspondent in Olympia. A proud graduate of Washington State University (’97), Chris received his bachelor’s degree in Communications. Connor Haggerty is the Policy and Affairs Coordinator in the Washington State University Office of State Relations, located in Olympia, Washington. 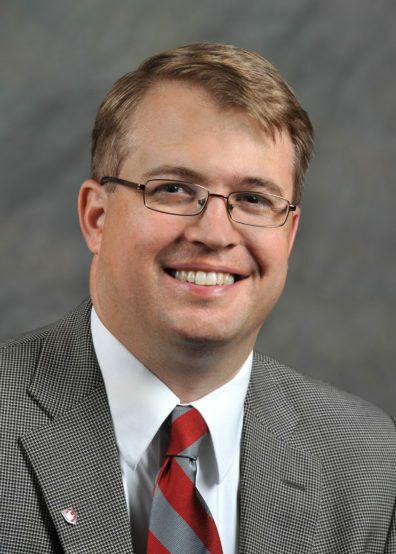 His duties include researching policy issues affecting the university, serving as a liaison with legislative offices and organizing activities and events on behalf of the office and higher education partners. Prior to joining the State Relations team, Connor was legislative staff in the Washington State House of Representatives for a year-and-a-half. Before working for the House, Connor was the student lobbyist for Washington State University Vancouver, representing the interests of students in the State Legislature while earning his bachelor’s degree in Public Affairs (’17). 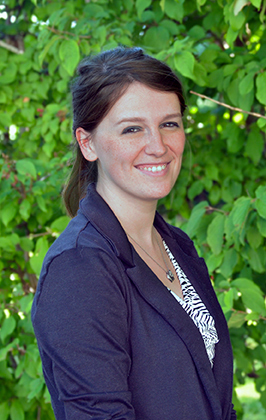 Heather Dykstra is the Administrative Assistant to the Washington State University Office of State Relations. She was hired on in 2014 to work directly with the State Relations team in managing schedules, coordinating travel, monitoring bills and committee hearings, updating the State Relations segment of Newsbeat, and performing general office duties. Prior to her work in State Relations, Heather spent several years working as a Clerical Assistant in the Writing Assessment Office at Washington State University Vancouver. Heather is also a graduate from Washington State University Vancouver, earning her bachelor’s degree in English (’09). Glynda Becker was appointed the Director of Washington State University Office of Federal Relations in 2012 and is based in Washington, D.C. WSU’s Federal Relations Office serves as liaison between WSU and members of Congress, their staffs, and executive branch agencies. The team promotes WSU research, education and outreach activities to demonstrate institutional alignment with key issues important to the delegation and administration, and to build awareness of WSU in Washington, D.C. Glynda develops effective stakeholder relationships to identify areas of confluence between public purposes, innovation, and the university’s research and academic capacity. Similar to our State Relations team, WSU Federal Relations works with lawmakers whose decisions are critical to higher education and research and represent constituents who work, learn and benefit from the University’s presence and partnerships; or count themselves among its alumni. Glynda has diverse experience in policy work serving multiple clients based in the Pacific Northwest. Prior to joining WSU, Glynda worked at McBee Strategic, a consulting firm based in D.C., for six years where she offered policy and strategic communications counsel. Glynda began her career in Washington, D.C., working in the House of Representatives where she served three members over a span of more than seven years. She served as Legislative Director for former Minnesota Congressman Mark R. Kennedy (R-MN6) and on was on the staff for former Congressmen George Nethercutt (R-WA5) and Rick White (R-WA1). Prior to her time with McBee Strategic, Glynda served as staff in the President George W. Bush Administration in several capacities including the Department of Commerce, and various roles in the White House, working on issues important to the state of Washington. Catalina “Cat” Amortegui is the Policy and Affairs Coordinator in Washington State University’s Office of Federal Relations and is based in Pullman, Washington. Her office is located in the Lighty Student Services Building, the Office of Research on the second floor. The Policy and Affairs Coordinator serves as a liaison between WSU and the office of Washington’s federal congressional delegation and staff to promote WSU research, education and outreach activities. Cat has a strong connection to WSU. She started her degree program at WSU Tri-Cities before moving to Pullman. Cat graduated with a bachelor’s degree in political science with a global studies focus in 2016, and since achieving alumna status, she has worked for WSU central IT and within the Office of Research in the proposal submission and processing office. Cat was born in Colombia and with her family moved as political refugees first to Costa Rica in 2001, and then to Richland in 2004.
in WSU’s downtown Seattle offices. The role of Regional Relations is to raise WSU’s profile in the local community and highlight the university’s presence in counties and neighborhoods primarily throughout western Washington. Marcia works to build bridges between WSU, the community, and government entities by sharing the many resources and services of WSU and providing linkages, information, and assistance between the universities and private and public entities. She helps to identify shared educational and research goals between various stakeholders and WSU to advance higher education access, research that benefits the public good, and outreach that effectively meets regional needs. 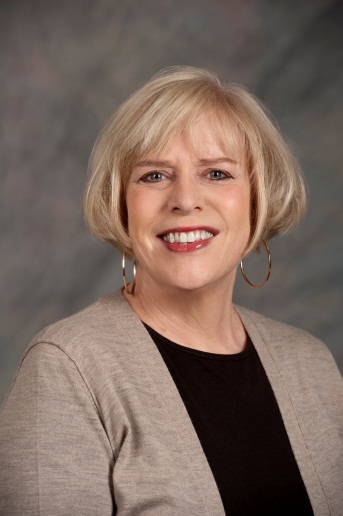 Prior to her current role, Marcia was the Executive Director of WSU West, and worked on the WSU Pullman campus in Extended University Affairs. Before joining WSU, Marcia worked in policy and government affairs positions for Burlington Northern Inc., a corporate holding company headquartered in Seattle. She has experience in private and public sectors, and academia. Marcia holds a BA from Washington State University, and an MBA from the University of Washington.